This Valentine’s Day, our panoramic bar and brasserie, SIX has created the ultimate cocktail menu for couples, providing them with the opportunity to discover how well they know each other. 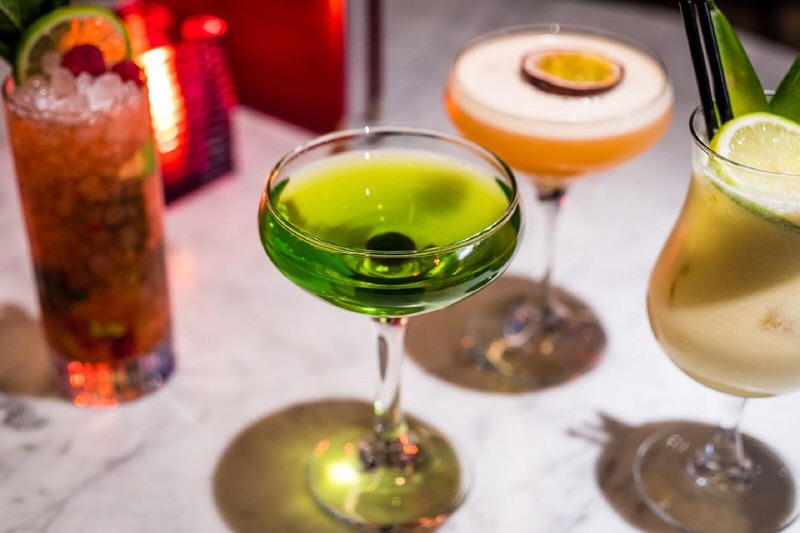 Whether the relationship is brand new or the pair have been together for years, the How Well Do You Know Your Date menu offers guests the chance to create bespoke cocktails for their partners based on what they believe they will like the most. Couples will be given a card on which they choose the composition of their partner’s cocktail from four categories. First, a base is selected from a choice of gin, rum or vodka, guests then pair their chosen spirit with a range of mixers such as pressed apple, ginger beer and pineapple. Next, guests choose a fresh garnish of watermelon, pineapple or passion fruit before deciding whether to have the cocktail shaken or stirred. With cocktails created, diners can indulge in SIX’s decadent Valentine’s Day sharing menu which features Beet Fillet Wellington Parcel served with Honey Roasted Carrots and Roasted Potatoes, Chateaubriand with Chips, Watercress, Tomatoes and served with either a Béarnaise or Peppercorn Sauce and SIX’s Seafood Platter, which includes a Whole Lobster, King Scallops and Tiger Prawns, served with a Garlic & Parsley Butter and Chips. The evening is designed for couples and open to both hotel guests and locals, with the ‘How Well Do You Know Your Date’ cocktails available at £7.50 each on the 14th February. Spaces are limited, so get in quick to reserve your place.